July 27 , by Shellie Wilson. 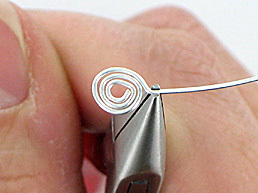 Artbeads.com shows us how to make the perfect wire spiral with these full instructions. Once you have it perfected check out this Spiral Wire Ring Project.